CHICAGO (AP) — If serial killer John Wayne Gacy murdered more young men in the 1970s than the 33 whose bodies he stashed under his house or tossed in a river, detectives now know one thing for sure: He didn't bury any at his mother's residence. Even though the local sheriff's department, with the help of two FBI cadaver dogs and ground-penetrating radar equipment, didn't find any victims under the Chicago apartment complex where Gacy's late mother once lived, the sheriff who reopened the case a couple years ago has no second thoughts about his hunt for clues to the decades-old mystery. He also hopes he's set in motion ways for others to look — around the nation, if necessary. "When do you stop caring about victims and their families?" asked Cook County Sheriff Tom Dart, a Chicago Democrat who has made national news before reopening the Gacy investigation in 2011 with such moves as suing Craigslist and halting foreclosure evictions. "This could bring closure, peace, for people." 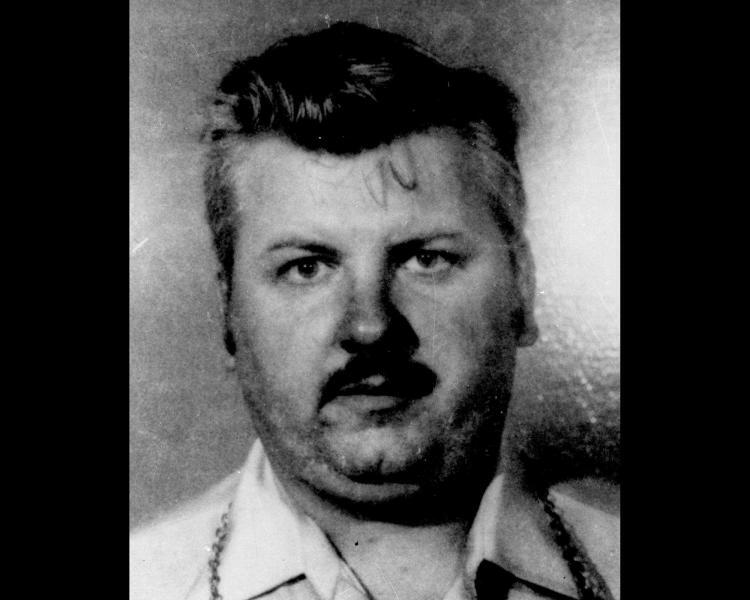 Eight unidentified victims have been exhumed in the Gacy case with the hopes DNA testing can identify them. 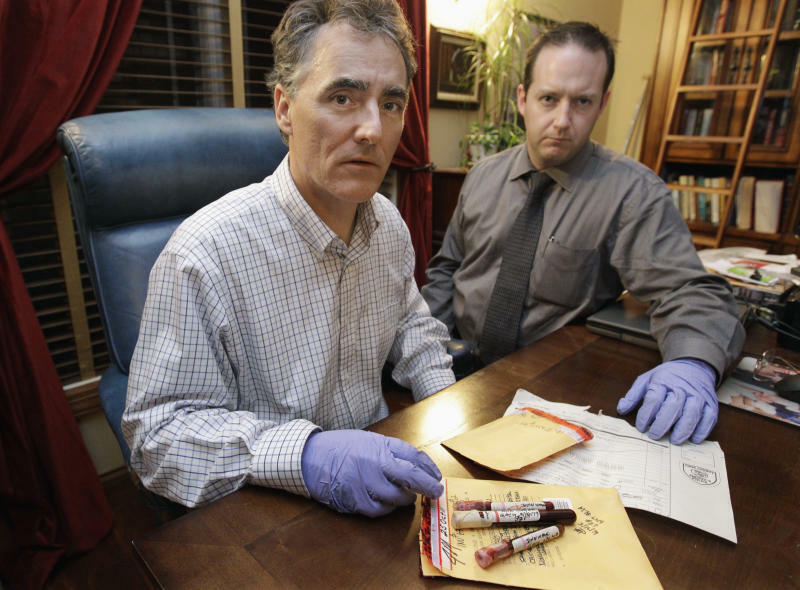 Dart has also sent some of Gacy's blood — collected just before his 1994 execution — to a national law enforcement data base to see if he can be linked to decades-old unsolved homicides. To that end, detectives have combed through a mountain of evidence gathered after Gacy's 1978 arrest. One detective said he found records that revealed Gacy, a contractor, traveled to "15 to 20 states." That information was submitted to the FBI for analysis, comparing where Gacy was with the dates of unsolved homicides and the discovery of bodies, Dart said. "You'd have to be the most naive person in the world to think those (33 victims) were the only people he killed," the sheriff said. 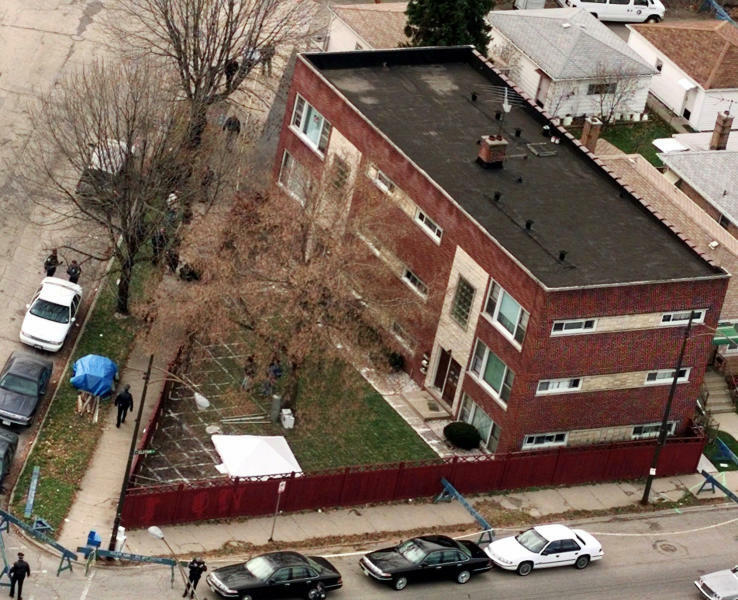 It was that kind of talk that took authorities to the apartment complex on Chicago's Northwest Side where Gacy's mother once lived. After the renewed investigation turned up Gacy's handwritten notes about work he'd done at there, and detectives learned that a 1998 search of the home was incomplete, it brought back a question floating around for years: Did Gacy seek other places to hide his victims as he ran out of room under his own house? In January, the sheriff's office said the Cook County State's Attorney signed off on a search warrant request and investigators, waiting for the weather to warm and the ground to thaw, went to the complex late last month. There, two highly trained Springer spaniels that were flown in from Quantico, Va., sniffed around. Sheriff's spokesman Frank Bilecki said the dogs have located remains buried over a century ago. Using coring equipment to burrow into the earth, the dogs were allowed to sniff the holes. But they showed no interest, an indication they didn't detect anything. The final step was to use a graphic imaging equipment, which can detect slight indentations in the ground that could indicate large holes had been dug and then filled was used. Again, nothing. With the search proving fruitless, some have questioned whether it's worth the time and expense. "I haven't spoken to the sheriff about it, but at some point we need to look at the cost and benefits of this and perhaps spend this money on current crime and current victims," Cook County Commissioner Timothy Schneider said. But he echoed other commissioners, who support Dart's effort to provide answers to families that have long wondered about the fate of loved ones who disappeared at the time Gacy was luring and killing his victims. As for Dart, he said that while no bodies were found, the search has netted results. After the eight unidentified Gacy victims were exhumed, Dart made a public plea for families of young men who vanished in the 1970s to come forward and provide DNA samples — one was identified. And, in a strange twist, unidentified remains found by hikers in Utah three years ago were found to have nothing to do with Gacy. They were of a 22-year-old man who vanished while hitchhiking from Washington state to Illinois. So far, though Gacy's blood sample hasn't been linked to any other crimes, which Dart and others have said isn't surprising. It might take months or years because other agencies must to go back into decades-old cases to search for and submit evidence. Today, DNA is still being tested, but the flood of families who came forward has become just a trickle. The sheriff said he has no plans for anything as ambitious as exhuming more victims or digging into any more yards in search of bodies. Instead, he said he's pretty much content to let science and computer analysis determine what will happen next. "Most of the work is done, and now we're waiting," he said.